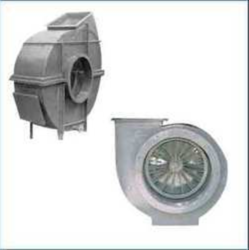 We are considered a renowned name in the business that manufacturers, exports and supplies Steel Centrifugal Blowers. Manufactured in accordance with the set industry guidelines, these efficient and ruggedly constructed blowers are vastly used in ceramic plant, restaurant & hotel industry and foundries. 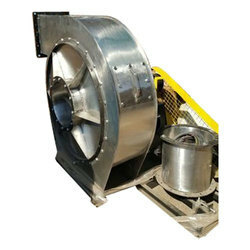 We are manufacturer of centrifugal fan and blowers which is specially designed to serve the specific requirement of various industries. etc. - Capacity range: 250 m3/hr to 2, 00, 000 m3/hr. - Static Pressure Range: 10 mm wg to 1200 mm wg. - MOC: MS, SS-202, SS-304, SS-316/316L, Aluminium. we are providing an excellent range of Industrial Blowers. We are offering Stainless Steel Blower to our Clients. Our esteemed clients can avail from us a remarkable range of SS Mirror Finished Blowers. Developed with high-grade basic material and latest technology, these offered products conform to the defined parameters of the industry.